4 things to expect from every self-help book you’ll ever read. How to read a self-help book. 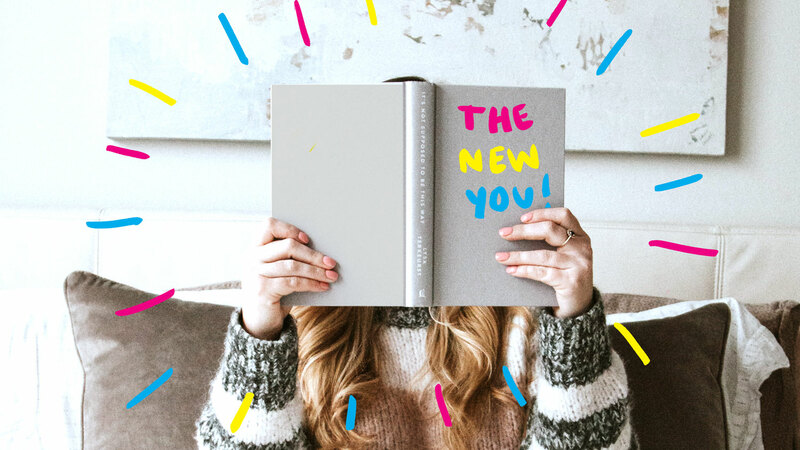 So you’ve been hearing non-stop about this new self-help book that will teach you to magically transform your life in every way — and in just 120 pages! You’ve been meaning to pick up a copy for months, but you haven’t had the time. Work’s been hectic, you’ve had all those visitors, plus errands on the weekend, not to mention annoying life necessities like eating and sleeping! It’s no wonder millennials are burning out left and right like some kind of generational bonfire to the twins gods of productivity and social media validation. You’ve got to take action before it’s too late! You need this book! Right away, the introduction has you feeling pumped! A glorious vision of your future self begins to unfold as you read the opening pages. Wow, you look so adult and put together! In no time, you’ll be hosting dinner parties and frequenting places where people who have their life priorities in order go — like the farmer’s market, or the dentist! A few chapters in and you begin to notice that, like a politician’s stump speech, a good 90% of the content is anecdotes about random people you’ve never heard of. Turns out their lives were a wreck too, but then they learned one specific, perfectly-distillable principle and now they’ll never argue loudly with their partner in an IKEA parking lot ever again. That could be you! About a quarter of the way through the book, you’re probably ready to begin telling all your friends about the amazing transformation you’ve undergone! You just see things differently now, you know? They should totally read the book, but lucky for them, you can offer then lots of unsolicited advice right now with all the mind-blowing wisdom you’ve accrued. Your friendship is such a gift! Now you’re in the home stretch! With only 50 pages or so remaining, you’ll find that your enthusiasm has begun to wane as your marginalia dwindles to only the occasional underline— down from the emphatic arrows and buoyant “Yesses!” of earlier chapters. It’s possible that you may abandon the book completely at this point, adding it to the dangerously teetering pile in the corner of your nightstand. Careful now! Hmm. What’s the matter? Feeling a bit disappointed? I know. I know. You thought this latest wunder-book would be different. But just like the others, it too didn’t have that perfect magic formula to really truly fully change your life forever and ever. Sigh. But take heart! You did learn a lot. Odds are you’re still probably only one handy dandy guide away from completely optimizing your life and your self. Lucky for you there’s plenty of other books in the self-help sea. You just have to find the right one. What’s on the bestseller list this week?